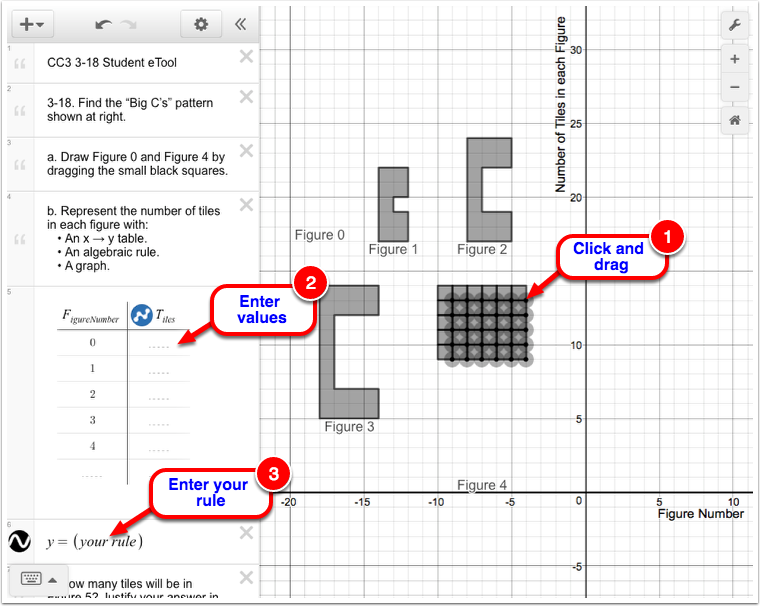 Use this eTool to create Figure 0 and Figure 4 and to find the "Bic C's" pattern. Click onto the corner dot of each small black squares and drag to the desired location to create Figure 0 and Figure 4. Enter the values of Tiles Column in line 5. Enter your rule in line 6.